Last month I posted my excitement for being chosen to attend Deb Tucker Teacher Certification Retreat. Last week I received the email that requests we have an example or project that shows our use of each ruler. THAT”S 9 RULERS! Holy Crap! This is the Galaxy pattern. I finished the top today. This pattern requires the V-Block and the Tucker Trimmer I. It only has 2 blocks. This pattern has 3 sizes. I chose the smallest at 42″ by 54″. I really like this pattern. I chose the fabrics from my stash. I have to start thinking about how they will photograph. I have a lot of homework to get done. This is Oak Ridge Stars. I made this last year. This is a terrific pattern. This pattern only requires the Tucker Trimmer I. 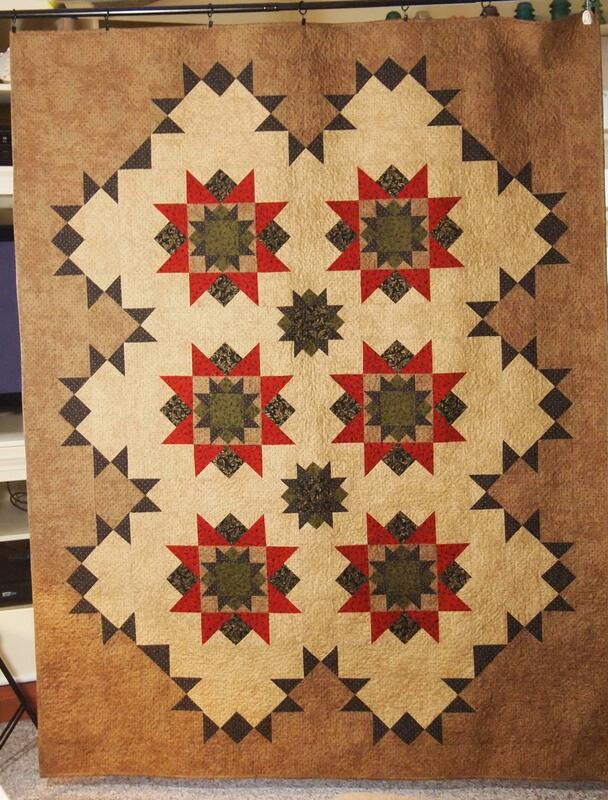 This is a free pattern that comes with the Rapid Fire Lemoyne Star ruler. 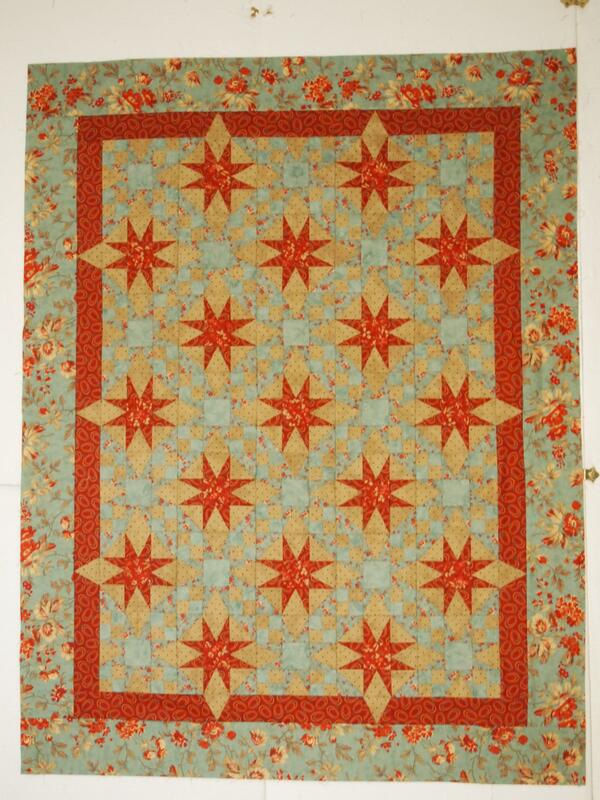 I have made 5 quilts with the Rapid Fire Lemoyne Star. I love this ruler, NO “Y” seams! I have not yet used the Rapid Fire Hunter’s Star or the Petite Star Rulers yet. I ordered a couple of patterns from Studio 180 Designs. I will keep you informed of my progress. 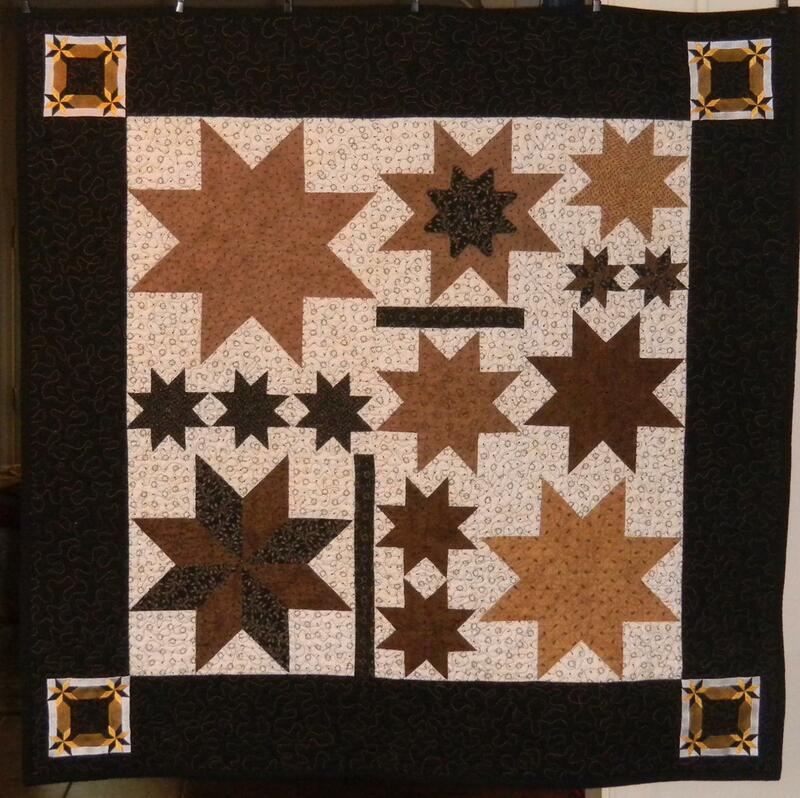 This entry was posted in Deb Tucker Teacher Certification Homework and tagged Deb Tucker, Galaxy Pattern, Oak Ridge Stars, quilting, Quilts, Rapid fire Lemoyne Star, Tucker Trimmer I, V-Block on August 13, 2013 by ifthesethreadscouldtalk. How many do you have to do Connie? I just discovered Deb Tucker less than 2 years ago.